Wow. 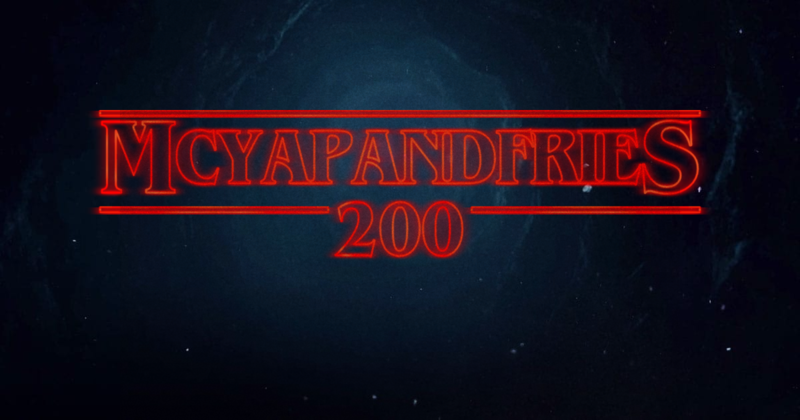 We actually made it to 200 podcasts! Thanks to the tremendous amount of planning that goes into each show, however you won’t hear us talk about that fact at all in the show, as Iain only realised we’d reached 200 when he was editing the podcast! This works out pretty good for you, dear listener, as we concentrate on our spoiler filled discussion of Stranger Things season 2 instead of faffing on about the last 200 podcasts! Join us as we visit with Bob, Joyce, Sheriff Hopper, Dustin, Lucas, Will, Mike, Eleven, Max and all the other residents of Hawkins, Indiana and talk about everything that happens to them in season 2 from the opening moments of the podcast; so we highly recommend you not listen unless you have finished all nine episodes of season 2. What did you think of season 2? You can let us know by emailing us at [email protected] or tweeting either of us at @mcnastyprime or at @gavyap. As always our podcast is proudly brought to you by Greenroom 136.com, an independent bag company from Malaysian, who specialise in urban bags for the modern urban citizen, ranging from single strap messenger style sling bags and attaches to back packs all the way to bags for holding your LIGHTSABERS! Listen to the podcast for a discount code for 10% off your next purchase! !